At the start of the year I bought myself a Fitbit One, a little wireless gizmo that tracks the number of steps taken each day, calories burned, stairs climbed and distance travelled. It’s a nice little gadget, kind of like a pedometer on steroids. You clip it to your clothes and forget about it. It syncs wirelessly with your computer via bluetooth whenever you’re in range, and you get a nifty dashboard showing what you’ve been up to. 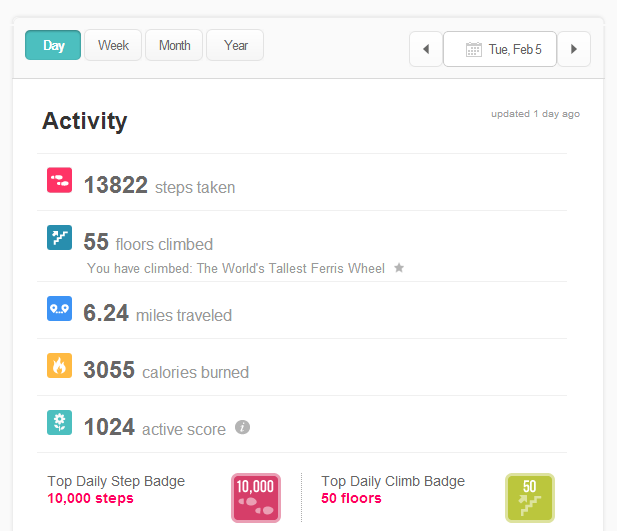 One day earlier this month, for example, I did 13,822 steps, climbed the equivalent of 55 floors (the equivalent of ‘the world’s tallest ferris wheel!’ and walked 6.24 miles. I got a badge for climbing 50 floors in a day. Woo. Stairs climbed is interesting – it tracks your vertical movement via a little altimeter, and only counts them as stairs if you’re actually taking steps at the time – lifts and escalators don’t count! You get little interactive graphs showing you all of these things and more. Time of day you were active and so on. I came to realise that whilst the numbers were interesting, I wasn’t actually doing anything with them. The week beginning 4th Feb, for example, I did over 70k steps, walked nearly 32 miles and climbed over 240 floors. And last week I was less active than the week before. Did it encourage me to do more? No. The daily emails saying ‘Nailed it! You’ve hit your step target!” or ‘Nearly there! Only 547 more steps!” didn’t motivate me to get up and take those extra steps. 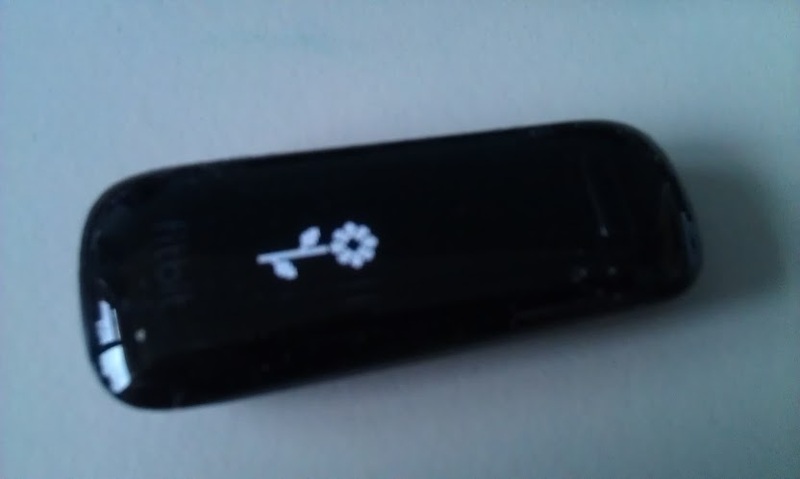 Fitbits are quite expensive little gizmos too (though very well made), so it duly went on eBay and off to a good home. I did find out that on a regular day I’m doing a fair bit of walking, and that I climb the equivalent of a lot of stairs, so am reasonably fit. I could do more as I’m not doing any ‘proper’ exercise (running, cycling etc) at the moment, and when I do, I’ll be using something like the excellent Runkeeper app, which uses GPS to tell me how far I’ve gone, how fast etc. I can use it out cycling *or* running and it’s free. So, dear reader. Do you use any exercise-related apps or websites?